Top Fuel and Funny Car contenders have relied on the Magnum PRO wheel for many years. 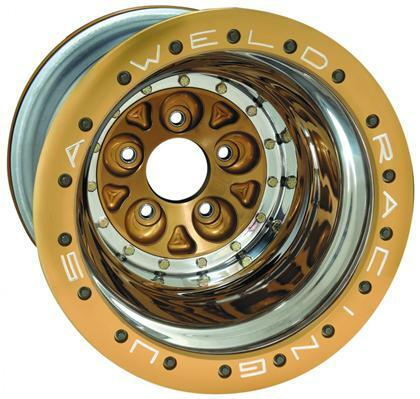 This wheel has been so successful and durable in the Nitro classes that the world’s first SFI 15.3 wheel has become a fundamental requirement in Pro Modified competition. Magnum PRO features an exclusive 18-bolt aero-design Bead-Loc™ system for superior clamping force over other designs. A non-bead-loc alternative of the Magnum PRO is also available exclusively for use with a “liner” tire. The “Fuel” centers are forged 6061-T6 to handle the stress and sheer awesomeness of the 8,000 horsepower machines. The wheels are available in 16-inch diameters, various widths, and offer a no-compromise approach to drag racing wheels. 16” Double Bead-loc applications available with polished, gold anodized, or black anodized bead-loc rings. Ultra Lite bead-loc configuration is available for ProMod applications.